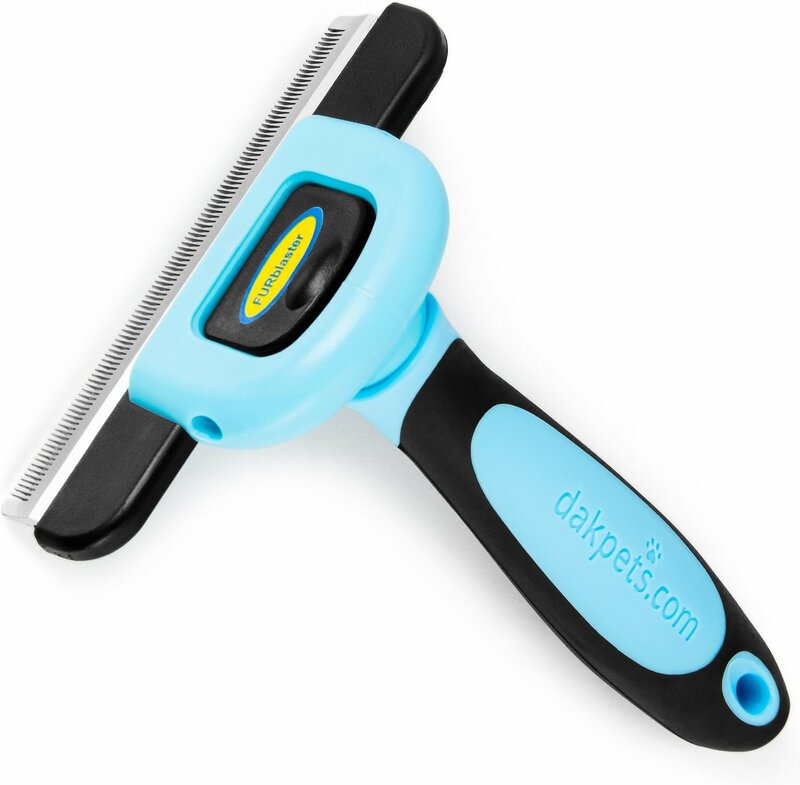 Dakpets FURblaster Deshedding & Light Trimming Tool for Long & Short Hair Dogs & Cats reduces shedding up to 90% by removing your pet’s dead, loose undercoat, lightly trimming the non-loose undercoat, and stimulating the fur’s natural oils to promote healthier skin and a shiny topcoat. 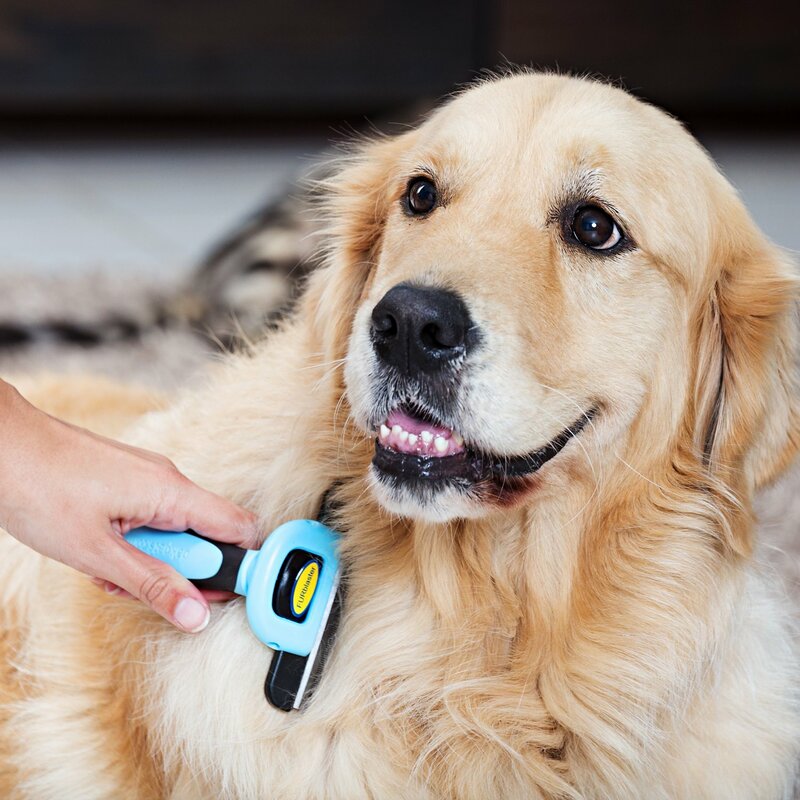 It features a lightweight, ergonomic handle designed by professional pet care experts, making grooming almost effortless. And it has a sturdy, rust-resistant, stainless steel blade, and a convenient safety cover that protects the blade’s life span. 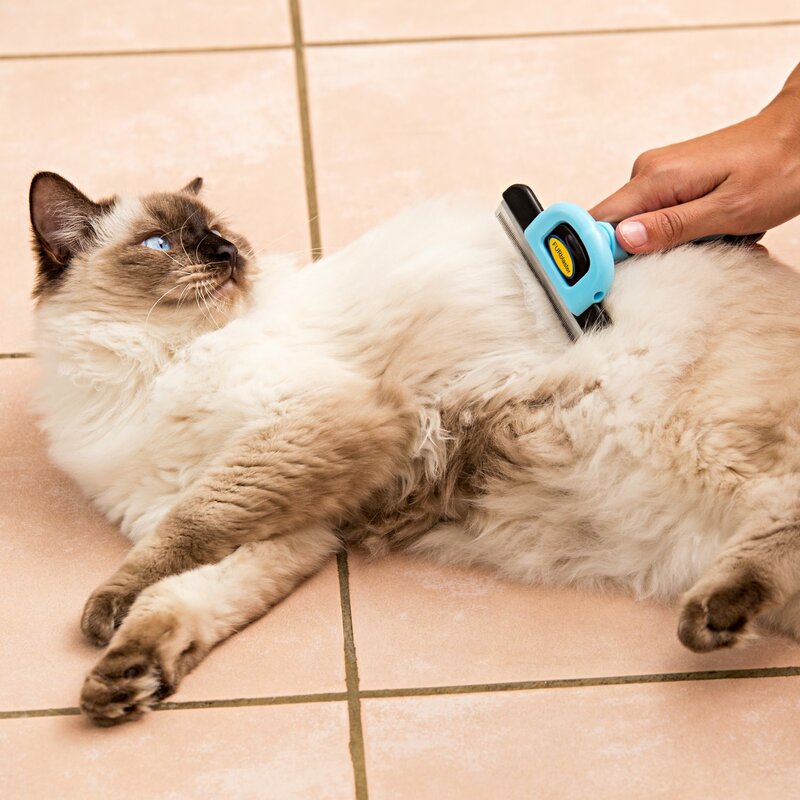 This versatile de-shedding and light trimming tool is suitable for both long- and short-haired breeds of cats and dogs. 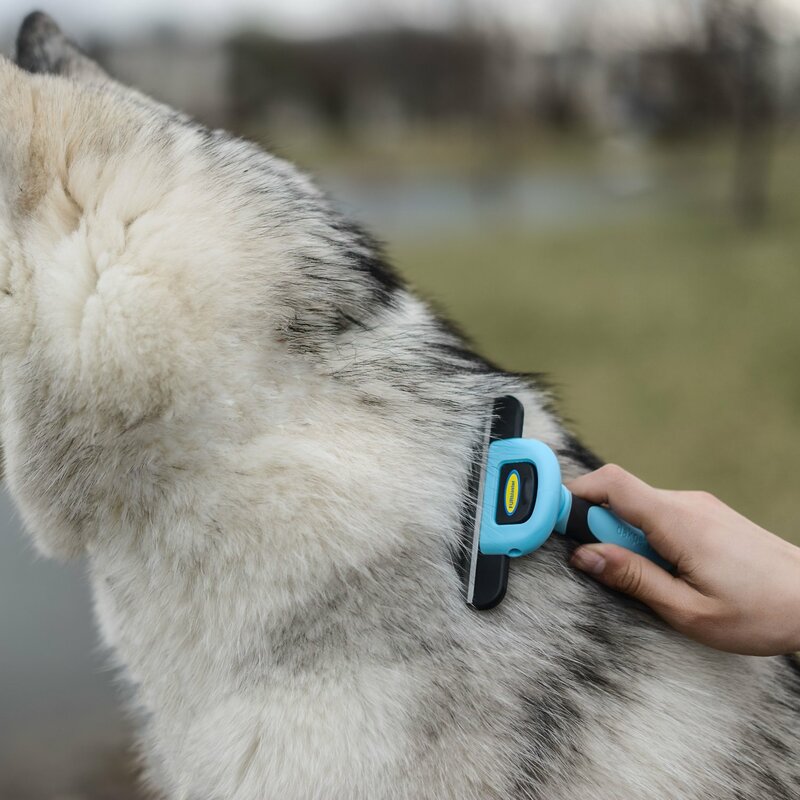 Reduces shedding up to 90% in only 10 minutes by removing your pet’s dead, loose undercoat, lightly trimming the non-loose undercoat. Gentle on your dog’s skin and suitable for pets with single and double coats. Stimulates the fur’s natural oils to promote healthier skin and a shiny topcoat. 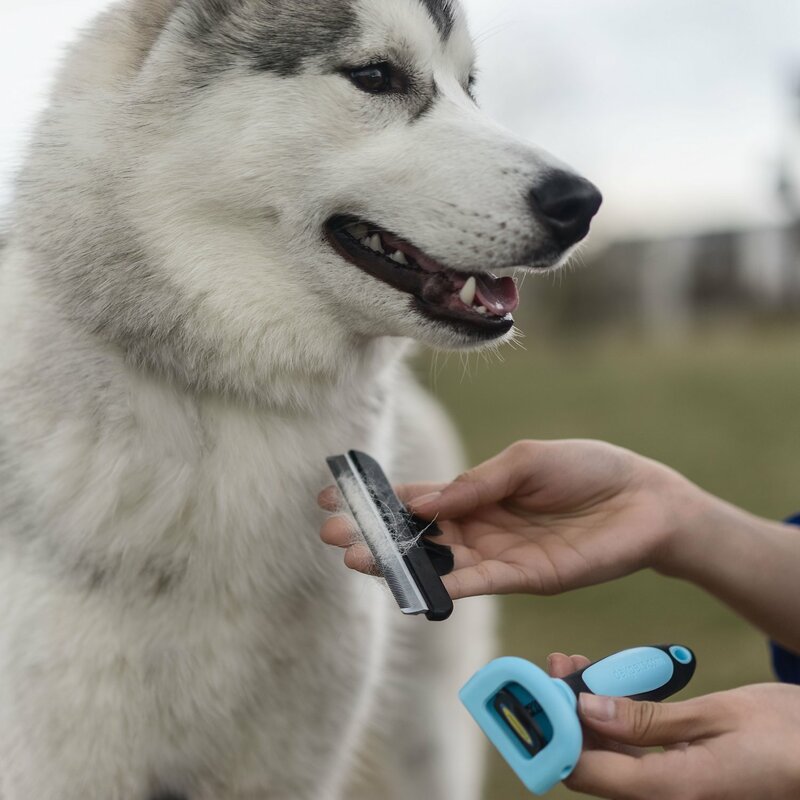 Features a lightweight, ergonomic handle with a soft non-slip grip designed by professional pet care experts, making grooming almost effortless. 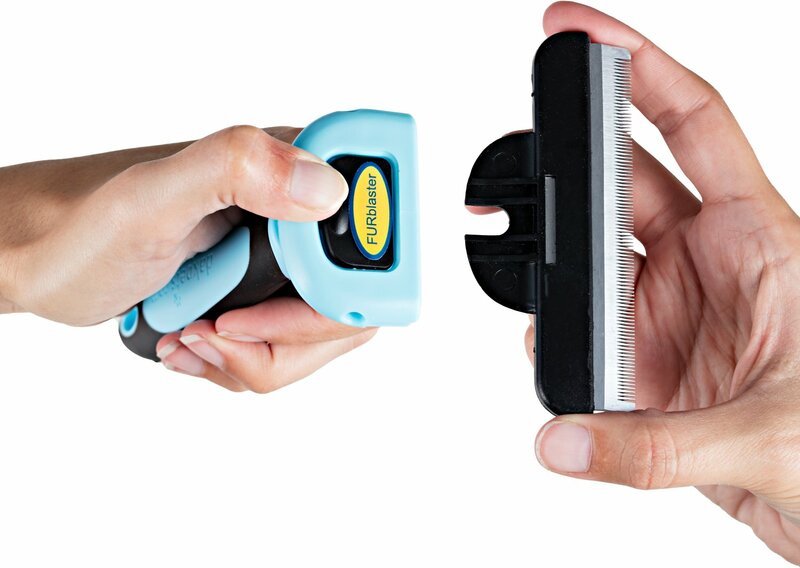 Quick release button to remove the comb quickly and efficiently. Sturdy, rust-resistant, stainless steel blade, and a convenient safety cover that protects the blade’s life span. Versatile de-shedding and light trimming tool is suitable for both long- and short-haired breeds of cats and dogs. Use regularly will reduce the likelihood and impact of allergic reactions in your home. This brush is great! I bought it after a recommendation from another lab owner who raves about the success they have had with reducing shedding. I have a chocolate lab that is starting to really shed his winter coat and my poor floors get covered in it. 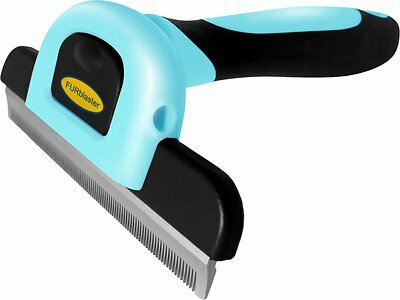 This brush has been instrumental in keeping my floors cleaner and with noticeably less hair covering them. Even when I pet him I notice that he sheds little to no hair like he used to before I invested in this brush. 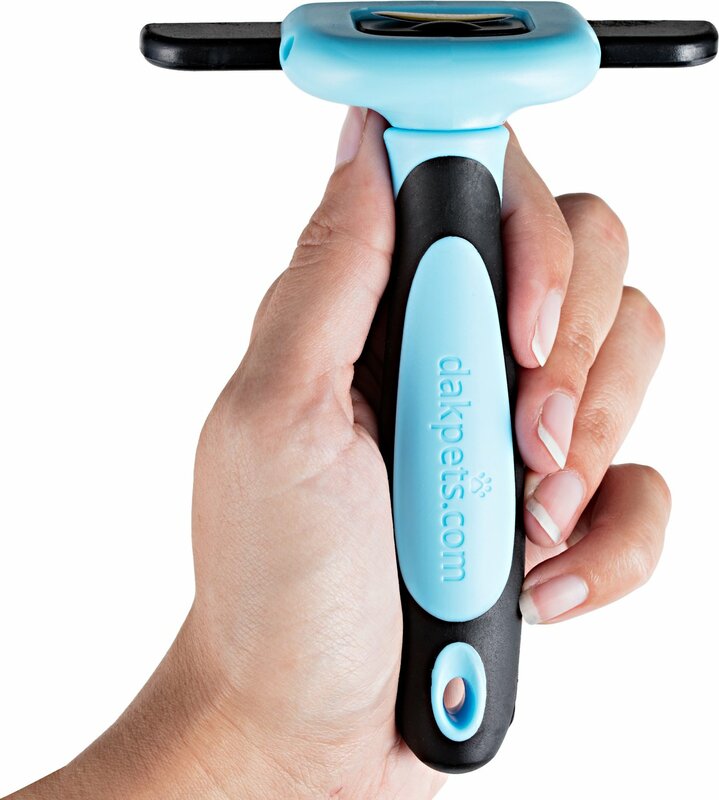 Only reason I did not give it 5 stars is because it doesn’t have the button to push the conned hair off; it must be manually cleaned as I am brushing my dog. Not a big deal but I know there are ones out there have that ability. Heard about the furminator but decided to go with a less expensive option. This is literally the best pet brush I’ve owned. My cat doesn’t tolerate it any better than other brushes, but it does a much better job getting rid of problem portions of my elderly long-haired cat’s coat. I have owned pet brushes with blades that help to trim fur before but this definitely made the biggest difference for my 18 year old cat’s fur. She seems to appreciate that her fur is better taken care of, too! I've tried three other brush types for my two cats, and none of them were particularly effective on top of the cats hating them. For example, the common wire brushes that you can find in most stores barely got anything from their short hair and they were constantly biting at it because it was unpleasant. 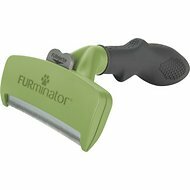 With this brush, they actually came back for more brushing (though your mileage will vary on enjoyment depending on your pet). Most impressive was how much it actually got. This is going to be very helpful as they shed their winter coats. I have a border collie/husky mix and she’s always hated grooming. But she loves this brush for her long wavy fur that likes to clump easily. It’s the only brush that I’ve found that gets the winter under fur off. I tried all kinds of products for hair removal but, Charlie, my cat, hated them all. He absolutely LOVES this one!! He even begs, I kid you not, to be combed! Hallelujah! I like this for my longer haired dog, but not for the short haired one. My pug's hair is so short that it doesn't seem to do any good. I could get the same amount of loose hair off just my petting her. If the dog's hair is long enough I think it does a good job. I’ve tried various other brushes to eliminate shedding and all have failed or my girl hated how it felt. But this product has worked like magic and my girl loves being brushed now. It's ok at removing top hairs that are loose. Doesn't do much for undercoat or mats on cat. This comb does pick up a ton of the topcoat of my cat. (Medium hair). True to title, it does actually trim his fur a little which gives him the occasional weird patch- but a great product that I’ll continue to use.